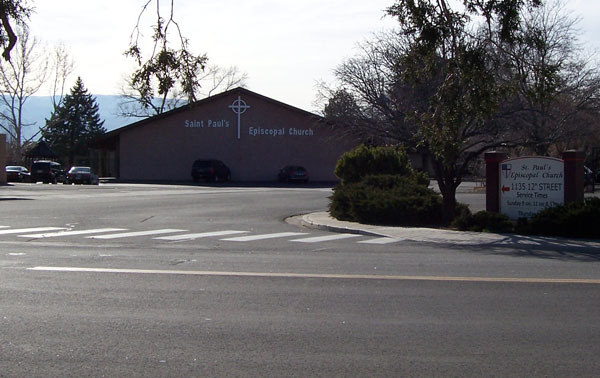 St. Paul’s is located at the corner of 12th and Oddie Boulevard, directly behind the Sparks branch of the Washoe County Library. From 1-80, exit at Pyramid Way and travel north. Turn left again at Oddie Blvd., and take another left on 12th.